The museum was founded in 1867 by royal decree of Isabella II who was queen reginant of Spain between 1830-1904. The museum sits near Plaza de Colon in Madrid on the brown metro line. 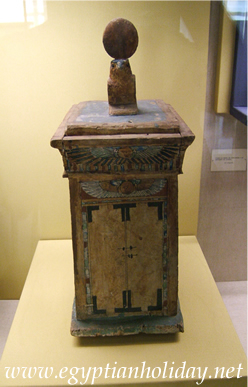 Above left a funerary box which would holdShabti's, talked about below. 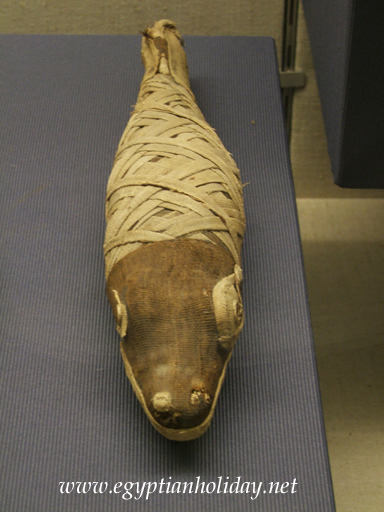 Above right a mummified crocodile which is represents the god Sobek. As you can see the head and eyes have been emphasised. Sobek was worshipped at Kom Ombo. 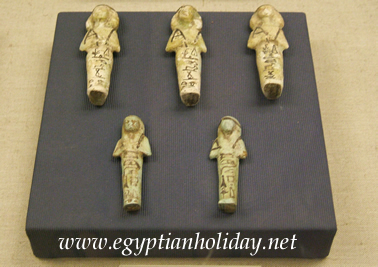 Small artefacts or Shabti were placed in the coffin of the deceased or in special funerary boxes like the one seen above left.. They represent the deceased and are supposed to help the deceased with manual labour in the afterlife. 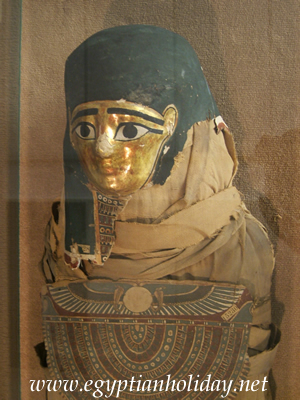 In the picture above left the shabati show the hands folded over the chest and they are clutching robe that holds a bag of seed on their back. 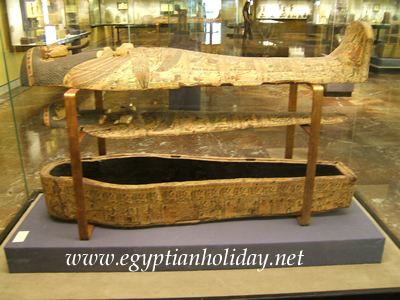 Above there are a number of mummies and sarcophagus found at the museum. Please can you help egyptianhoiday, if you can recognise the above pictures please email me so i can update the site for the rest of the readers. Thank you.